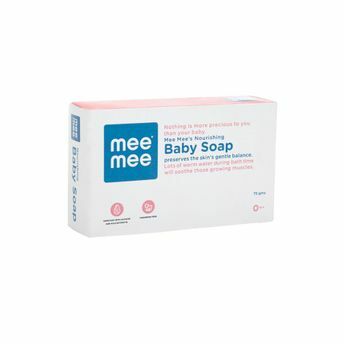 Ensure your baby gets utmost care and nourishment from birth with Mee Mee Nourishing Baby Soap with Almond & Milk. This gentle soap enriched Almond and Milk will keep your little one's delicate skin soft and clean. Contains the goodness of almond, aloe vera & milk extracts. Free of Parabens & other harmful preservatives.